You may think that here at FTHQ, we’re partial to utensils of the four-pronged variety, but we generally appreciate any and all cutlery that helps us deliver food into our perpetually hungry mouths. And although we’ve been known to nearly jump up-and-down in excitement about all kinds of eating instruments — knives, salad tongs, corn-on-the-cob holders, you name it — it’s been a while since tableware has gotten us as excited as these 100% edible and biodegradable utensils from Bakeys. With funding from a successful Kickstarter campaign and an aim to provide a viable alternative to the billions of plastic utensils thrown into landfills every year, Bakeys Edible Cutlery has it covered when it comes to usability and sustainability. Turns out sorghum, an environmentally-friendly crop you may have never heard of, seems to be the magic ingredient. 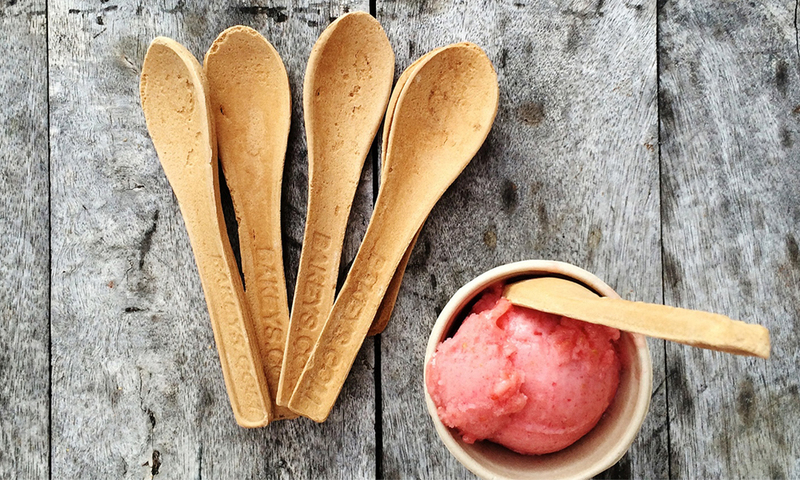 Not only does sorghum allow Bakeys to produce 100 edible spoons with the same energy required to make a single plastic one, it also prevents the utensils from degrading in liquids — a particularly important fact for the environmentally-conscious ice cream enthusiasts among us. We normally wouldn’t feature something so ubiquitous but the copper version is just so dope that we had to share it with you. 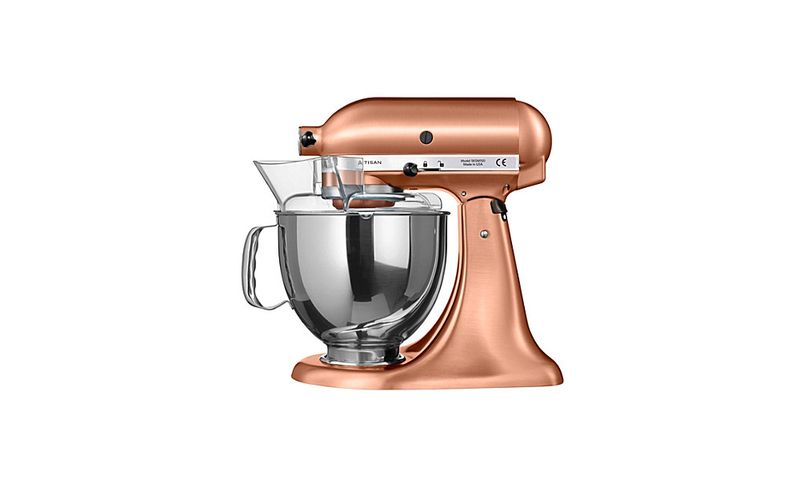 The same great workhorse you’ve had (or been seeing) for years just in a shiny penny version that even we’d think twice about letting it clutter up our counter. Sometimes it rains on Memorial Day weekend. Sometimes it rains most of the summer. This is mother natures way of blessing the earth and replenishing life but it does deprive you from your weekly summer grilling rituals. If this summer turns soggy the Otto O.F.B. Steak Griller is your backup QB (Quick Burner). 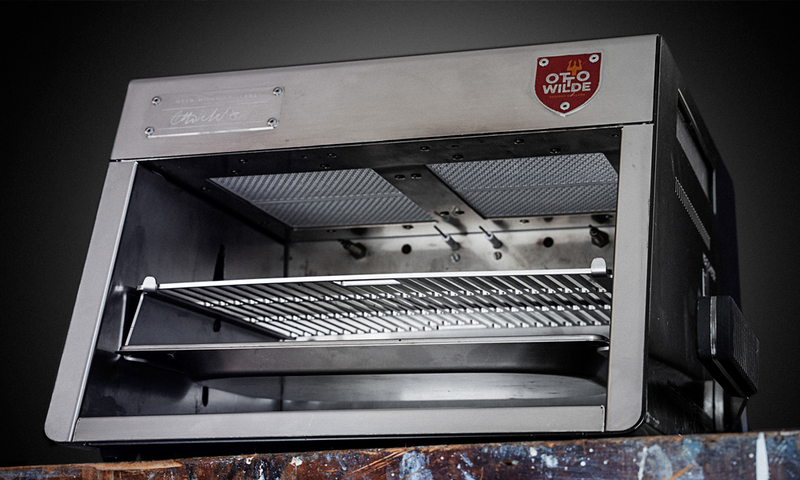 Fashioned after the commercial kitchen mainstay, the salamander, this broiler uses radiant heat to crisp up any protein to that perfect grill kissed aesthetic and texture. Pair this with a sous vide machine and you might ditch the grill all together. 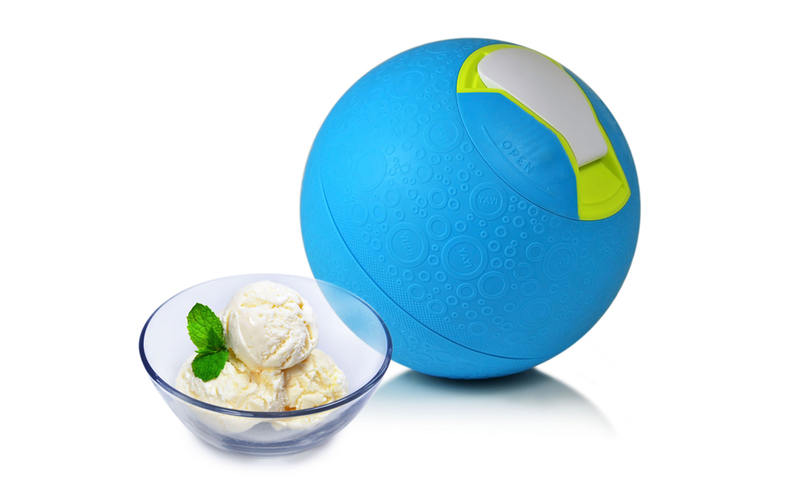 I scream, you scream, we all scream for ice cream made with the Soft Shell Ice Cream Ball, a product from YayLabs!. It combines two of our favorite summer pastimes, ice cream and ball games. Pleasing to both artisanal ice cream aficionados and more casual ice cream enthusiasts alike, the Soft Shell Ice Cream Ball embodies the highbrow/lowbrow dichotomy in a way that only a homemade ice cream maker that looks like your average, everyday kickball could. Fight the been-there-done-that end-of-summer slump by bringing it on all of your adventures and shaking, tossing, rolling it until you get the smooth and creamy ice cream you had previously been too intimidated to make on your own (and it only takes 20 to 30 minutes!). We urge you to proceed with caution, however — you don’t want anyone mistaking your next batch of strawberry-blueberry ice cream for their next dodgeball weapon. We love the dentist. Ok…I love the dentist. I also love weird mashups particularly if they consider the dinnertable. 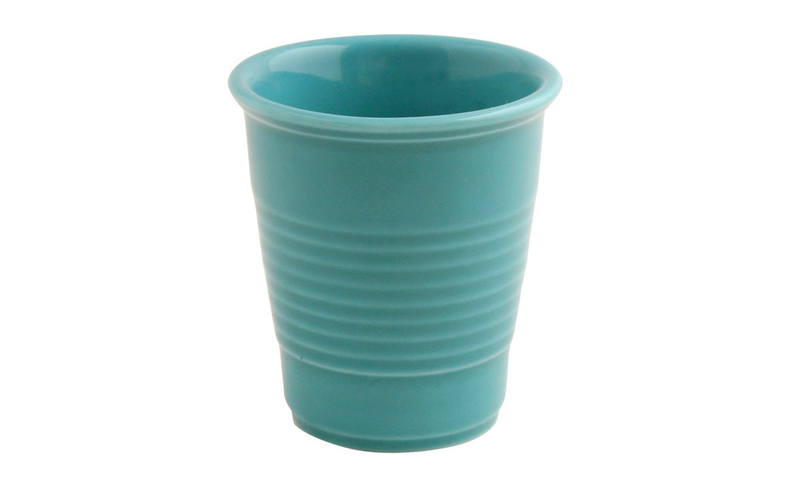 For most, drinking from a Porcelain Dentist Cup while enjoying a delicious meal would be like a 4X UBER surge after front row seats to Hamilton. I’d go so far as to serve some neon blue cocktail in these to further conjure the inspector gadget dental chair. Fish’s Eddy embraces this contrast with the newest in their quirky line up. Although, their dentist cup was probably intended for the bathroom not the dining room. Does that make me weird?